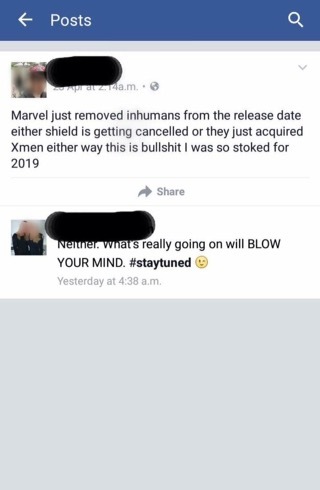 Disney have officially removed Inhumans from their schedule. It had been due for release on 12th July, 2019. It currently has no release date. 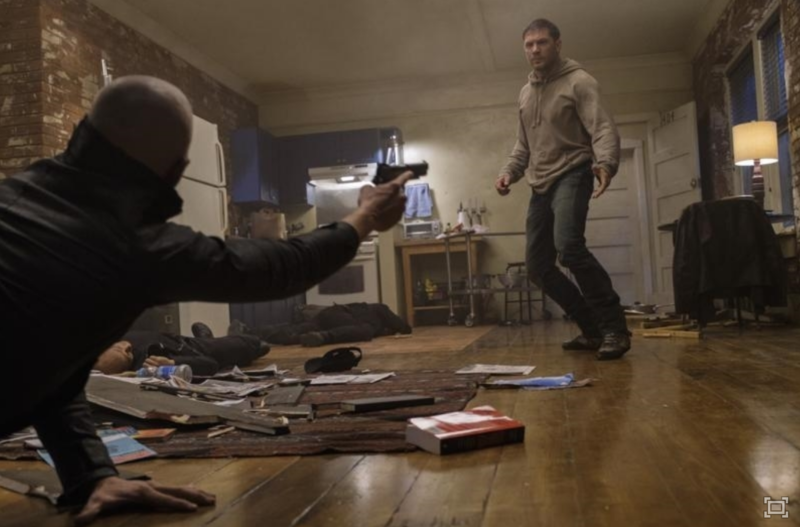 This isn’t the first time the film’s release date has been changed. It was originally slated for release on 2nd November, 2018 before it was moved to the July. It’s entirely possible that Inhumans was removed because of the recently announced Indiana Jones 5. That’s scheduled for release on 19th July, 2019, which is just a week after Inhumans. It would make any business sense to put two Disney movies up against each other. Speculation has been rife online, that Fox and Marvel may be about to make a deal, to incorporate either the X-Men, or Fantastic Four into the MCU. Personally, I think a deal with the Fantastic Four is more likely. 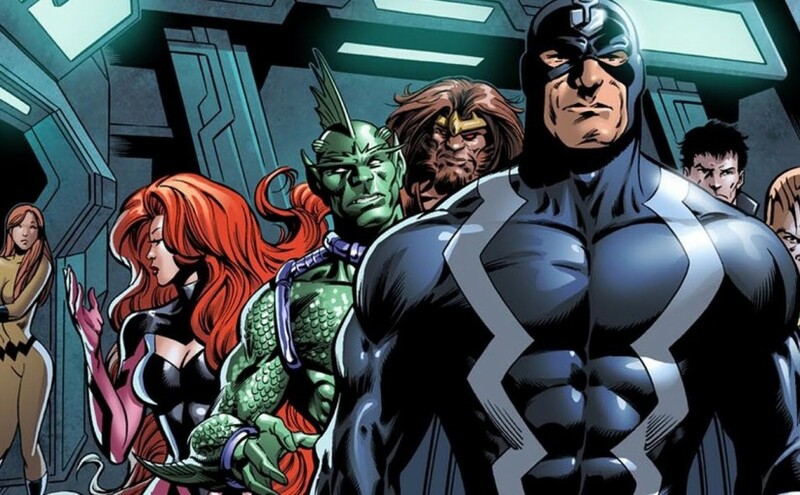 Fox just don’t need Marvel’s help with the X-Men and Marvel don’t need the X-Men, when they have Inhumans. The past three X-Men based films have been received well critically and, have done well at the Box Office. Deadpool is currently the highest grossing movie of all time. With the Fantastic Four, Fox find themselves in a similar position to Sony with Spider-Man. Do they push a head with a sequel to a film, that was poorly received. 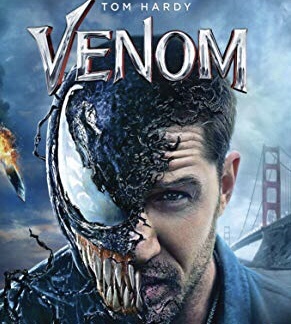 Independently reboot it for a third time, or accept a co-production deal with Marvel and reboot it into the MCU? These posts were taken off Faceboook. 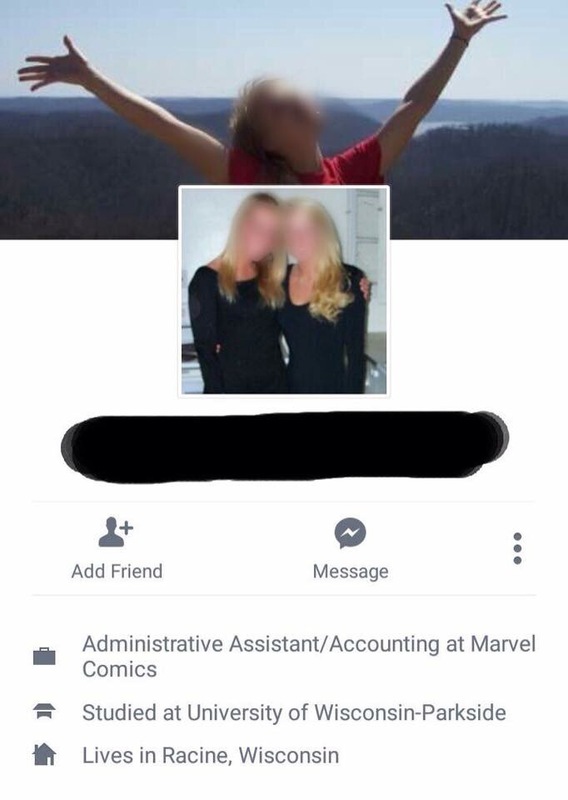 They seem to be between a fan and an employee at Marvel. Relationships between Fox and Marvel are historically bad. Fox haven’t been allowed to sell X-Men toys since 2003 and, Marvel have mostly reduced the X-Men to background characters in the comics. Whatever happens, I’m sure Marvel will release a Inhumans movie at some point. Tom Holland is about to make his debut as Peter Parker/Spider-Man in the upcoming Captain America: Civil War. 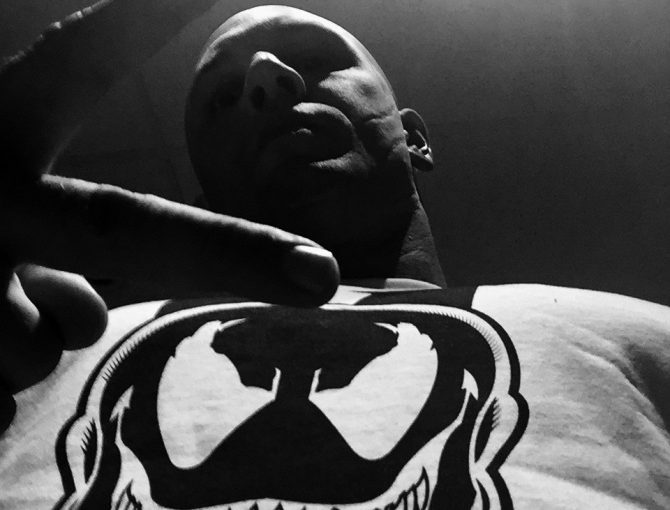 The character will also star in his own MCU connected, solo movie in 2017, directed by Jon Watts (Cop Car). However; specific information on the reboot remain tightly under wraps at the joint Marvel/Sony compound. 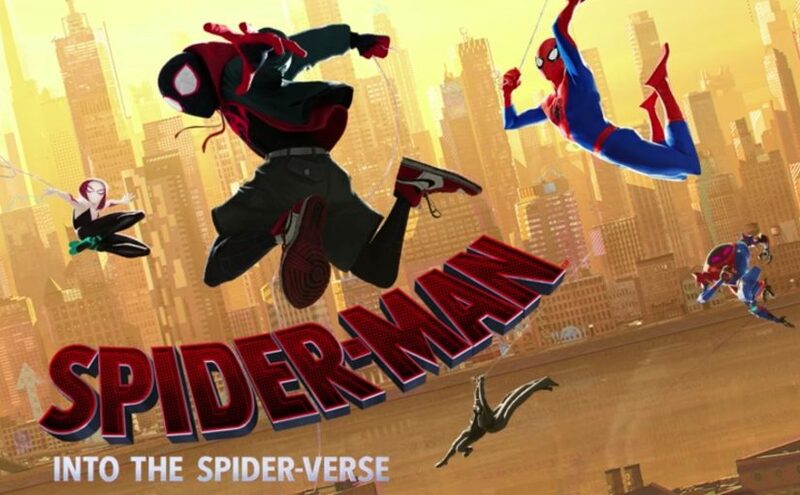 rumoured titles such as; The Spectacular Spider-Man, and Spider-Man: The New Avenger have been doing th rounds since the Sony/Marvel deal was announced. 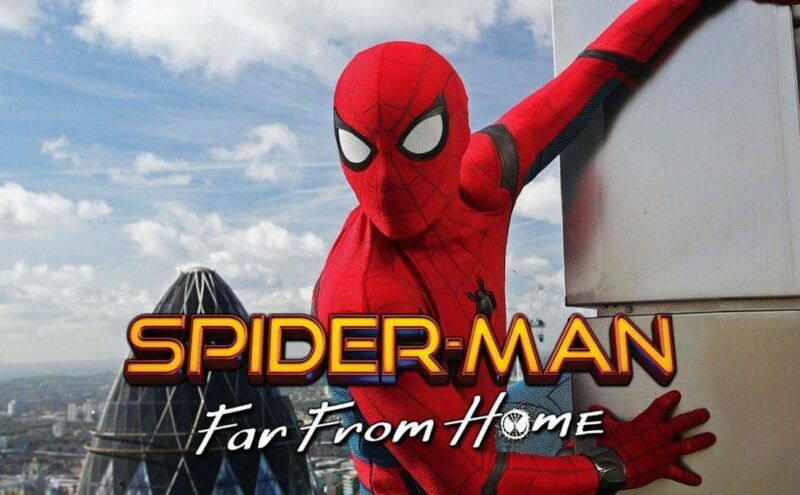 According to the BBC, Sony Pictures have registered the domain name ‘SpiderManHomecomingTheMovie.com’. Which seems to suggest that Spider-Man: Homecoming could in fact be the upcoming film reboot. However, that doesn’t guarantee it. Studios will often register multiple domain names, just in case. It’s hard to believe that we’re just two short months away from seeing Captain America:Civil War. 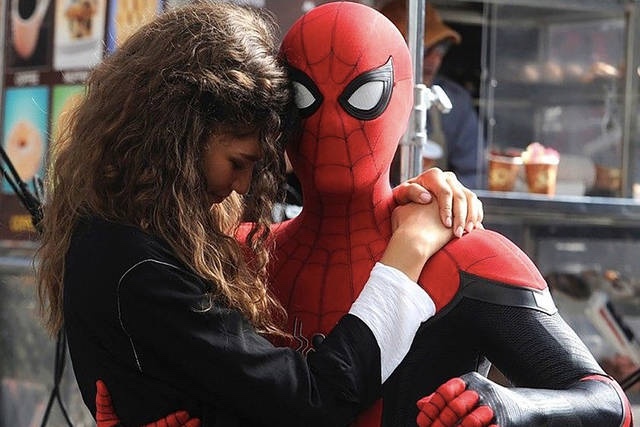 The thing I’m most excited about seeing in this movie is Tom Holland’s take on Spider-Man. Back in August, the actor posted a video on his instagram account which showed him practising some moves. Yesterday, he posted a video of himself doing something called a “side summy” it’s pretty impressive. We still haven’t seen the new Spider-Man costume, but I assume that’s because both Sony and Marvel are still ironing out the finer points in their contract. I’m sure Holland will be great in the role, but personally I would have brought Andrew Garfield back. In my version, Peter Parker would now be in his late thirties, retired and married to Mary Jane. Something would have happened that made him put on the famous suit again, I would have then killed Peter Parker off. Given him a heroes send-off, he would have died saving The Avengers. 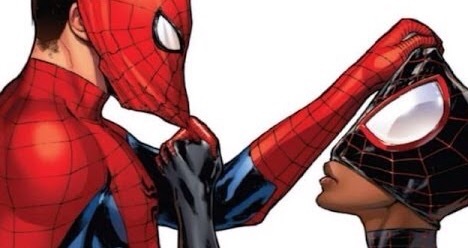 I would have then introduced Miles Morales in the post credit scene and kicked off a new franchise, with a new Spidey. Marvel superfans, unite! For the first time ever, the iconic Marvel Super Heroes and villains will be brought to life in a spectacular live action family arena show, when Marvel Universe LIVE! Super Heroes Assemble touches down in the UK this September. Tickets go on general sale on Friday 4 March at 9am, and are available from AXS.com or by calling 08448 24 48 24. This show is taking the live entertainment experience to a whole new level, with an epic show unlike anything seen before. Bringing together the largest assembly of Marvel characters in a live production, audiences will be able to watch some of their favourite Marvel Super Heroes step out of the silver screen and onto the stage – bringing the action to life right before their eyes. 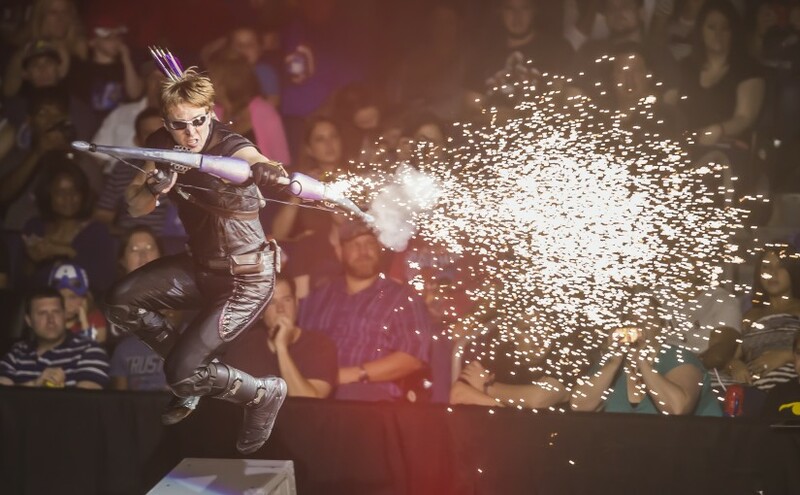 “We are delighted to bring Marvel Universe LIVE! to the UK, giving families an opportunity to enjoy this spectacular live show for the very first time. The audience will feel like they’ve been transported into a jaw-dropping Marvel blockbuster film, with an engrossing storyline and non-stop stunts”. Join Marvel families for this monumental performance. The fate of the universe depends on it! I had long heard that Tom Holland was a highly skilled gymnast but I hadn’t actually seen any footage. Recently, he posted a video on his Instagram account so that we can see how he’s coming along. It is very, very impressive. 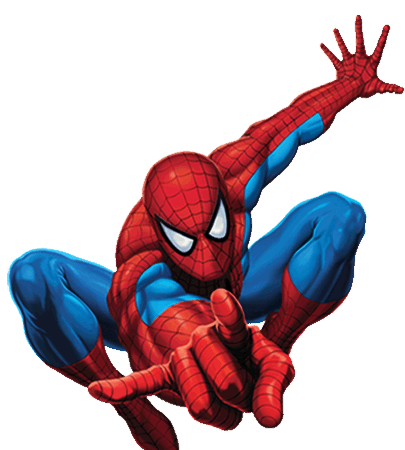 Holland’s Spider-Man will make his first appearance in Captain America: Civil War, which is released worldwide on the 6th of May, 2016.